What happens when you’re diagnosed with terminal cancer? How can you go back to normal life when everything has been altered by the news? A new study takes on those very questions. The study, led by Carole Robinson, professor emeritus with UBC Okanagan’s School of Nursing, reports on the process of living well with “an awareness of dying.” That means that in some form or another, the people in the study knew that death was coming, ranging “from awareness of the possibility of dying, to accepting the possibility of dying, to acceptance that ‘I am dying,'” the study reports. The study analyzed 22 interviews with Spanish citizens involved in previous research that explored their experience of living with advanced cancer. The researchers found that people go through a five-phase “iterative process,” which basically means that the people in the study had to try and get through five phases until they felt a little more comfortable. The study says each phase “is revisited over time as the illness changes and new challenges arise,” so it’s not like you go through it once and you’re done. You keep going through the cycle as things change. “Despite the fact that the phases are interconnected and interactive, there is a sequence to the larger process of Living well with Awareness of Dying,” which means that even though all the phases are connected and the phases don’t always happen in perfect order, there is some order to the process of learning to live well. 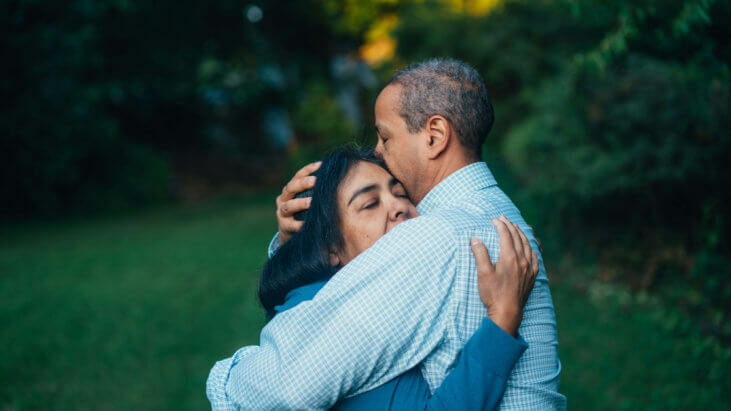 Some of the strategies for living with advanced cancer that people talked about included, “making life adjustments, maintaining a positive attitude, normalizing, and hoping,” the study says. “The importance of family love and support cannot be underestimated. For all the participants, awareness of dying led them to focus on living well. Sharing the experience with loved ones softened suffering remarkably. They were aware they did not have time to lose,” the study says.